An efficient magnetic nanocomposite catalyst (Fe3O4@GO) was synthesized and utilized as a sustainable and convenient catalyst for Baeyer–Villiger oxidation. The catalyst was characterized by XRD, FT-IR, TEM, SEM, XPS, Raman and VSM. 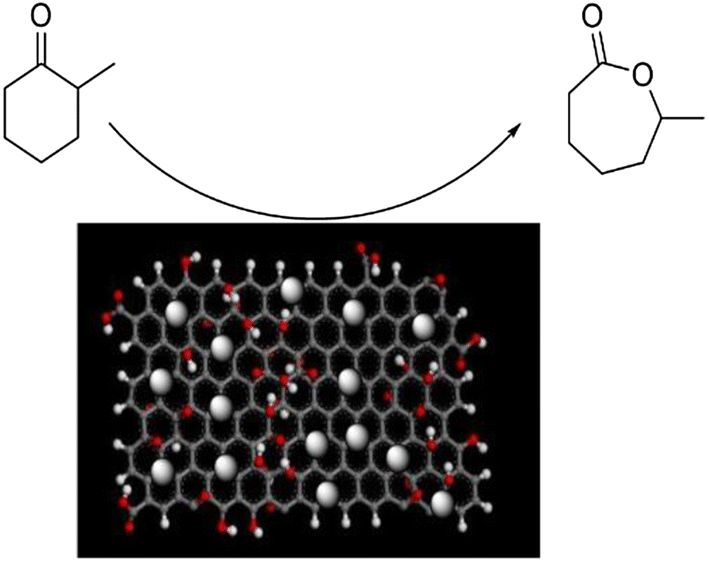 Under solvent free conditions, hydrogen peroxide as green oxidant, Fe3O4@GO showed an efficient catalytic activity and excellent selectivity for Baeyer–Villiger oxidation at room temperature. Conversion of 2-methyl cyclohexanone and selectivity of ε-heptanlactone were 84% and 94%, respectively. The catalyst can be magnetically reused and recycled for several runs without any significant loss in efficiency and selectivity. An efficient magnetic nanocomposite catalyst (Fe3O4@GO) was synthesized to show high catalytic activity and excellent selectivity for the Baeyer–Villiger oxidation under solvent free conditions with hydrogen peroxide. 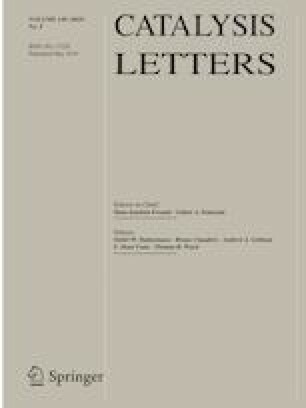 The online version of this article ( https://doi.org/10.1007/s10562-019-02765-z) contains supplementary material, which is available to authorized users.